This is going to be something special. PL face off against Tuskers at 20:00 EVE time this Sunday at twitch.tv/eve_nt. If you need a recap on the rules and format, you can find that here. Before the first ever season of #EVE_NT Collides, we had a series of showmatches which The Tuskers dominated. Only in their final match were they given an insane nail-biting and back-and-forth series by Waffles, and now big brother has come out to play. As well as being the capital (and more recently wormhole) boogeyman of New Eden, PL are synonymous with excellence at tournament performance. PL have won 5 of the 13 Alliance Tournaments, the only other alliance winning more than one being Band of Brothers who won 1, 2 and 3. Where their old nemesis HYDRA RELOADED were known for their extreme piloting and capable theorycrafting, PL were the capable pilots with the extreme theorycrafters, with an unbeaten depth of understanding of the meta. In #EVE_NT Collides, you have to submit your setups to be publicly seen (or at least the hulls) a week before your match, bringing a whole new twist to a team that normally relies on having such a depth of different team lists with variations. PL are the first old school tournament giant we’ve seen play the Collides format, and as with doctrinal design on Tranquility, they’re likely going to set a new standard that everyone will be scrambling to follow. If PL are the old favourites, Tuskers are the up-and-comers. The Tuskers have always been known for excellence in small gang and solo PvP, but they really upped their reputation when they exploded onto the tournament scene with a fourth place finish in ATXII, and then another incredible run in ATXIII. If this were the Alliance Tournament, I’d say that the Tuskers would be the underdog, a team who could take games from PL but were unlikely to take them in a full series. #EVE_NT Collides, on the other hand, is a different story. Taking away PLs depth of setups down to just five (after bans), and with the Tuskers having flown this tournament format since we started #EVE_NT Collides, they have certainly evened the playing field with that extra experience. If there is a team of the eight who should scare an old veteran like PL, it’s The Tuskers. 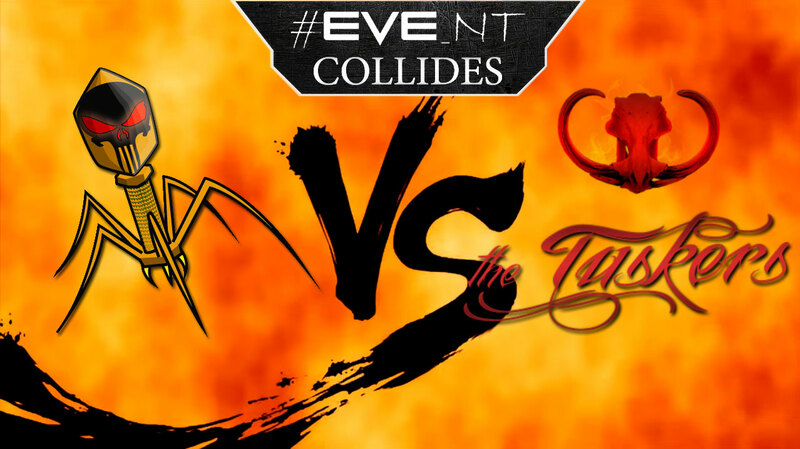 This is undoubtedly going to be the highest caliber matches we’ve seen from #EVE_NT Collides. You do NOT want to miss this.